We started by putting emergency plans and student rosters on mobile devices so people actually had their emergency plan with them, but we haven’t stopped there. Our two-way, real-time emergency communication is changing how organizations communicate about daily incidents and emergencies. Our alert and panic tools provide sound that breaks through the clutter of all your day-in and day-out messages, and we’re extending the network to include safety experts who can provide content to help people better assess situations and respond more effectively. 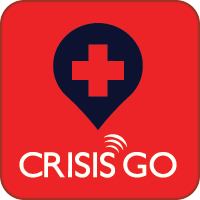 At CrisisGo, we believe that it is important to focus not only on physical safety, but also mental health safety and cyber safety.